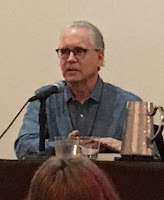 My wife and I drove from Dallas to Austin on November 6 to hear Mark Frost read from--and answer questions about--his new book, The Secret History of Twin Peaks. 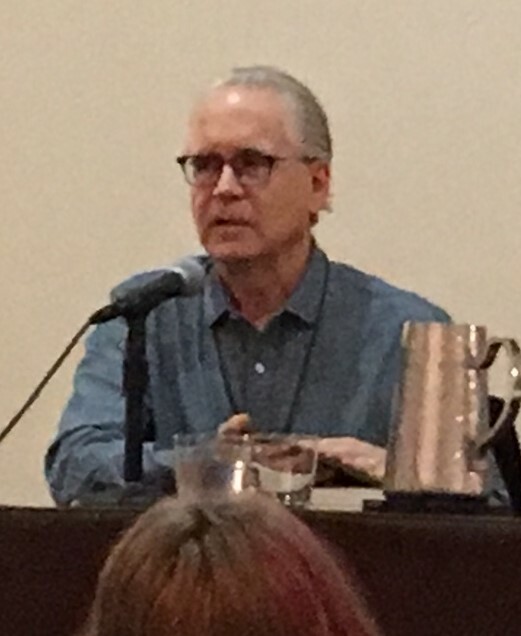 Frost was appearing as part of the Texas Book Festival, and this would be his last appearance promoting his book in the US. We were quite happy he was visiting our neck of the woods before heading overseas. We arrived about two hours early and decided to grab lunch in the hotel where the event was taking place. Not long before we finished, I looked up to see Frost entering the restaurant. Now, I have had about half-a-dozen encounters with Mr. Frost over the past twenty years (some in person, most by phone) but I was still a bit intimidated about going over to say hello and re-introduce myself. Luckily, my wife encouraged me . . . and so I did. 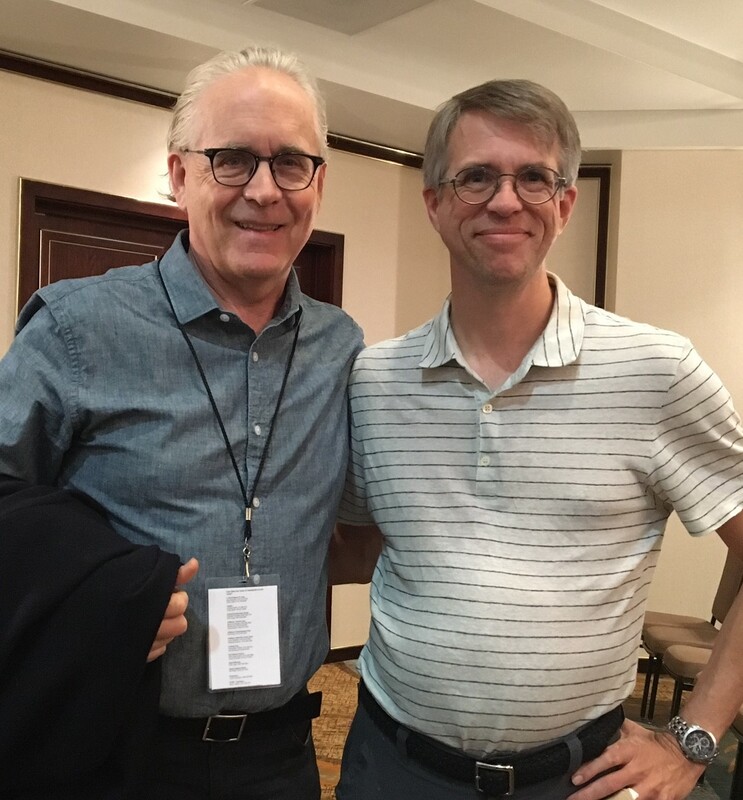 Well, Mark Frost couldn't have been nicer or more accommodating. I apologized for interrupting the start of his meal and he graciously asked me to come back and join him for a chat after he finished. So, about half-an-hour later, I did. We had a wonderful visit, basically talking about our favorite television shows (he and I are both big fans of Fargo season 2), and the changing nature of television over the past 25 years. 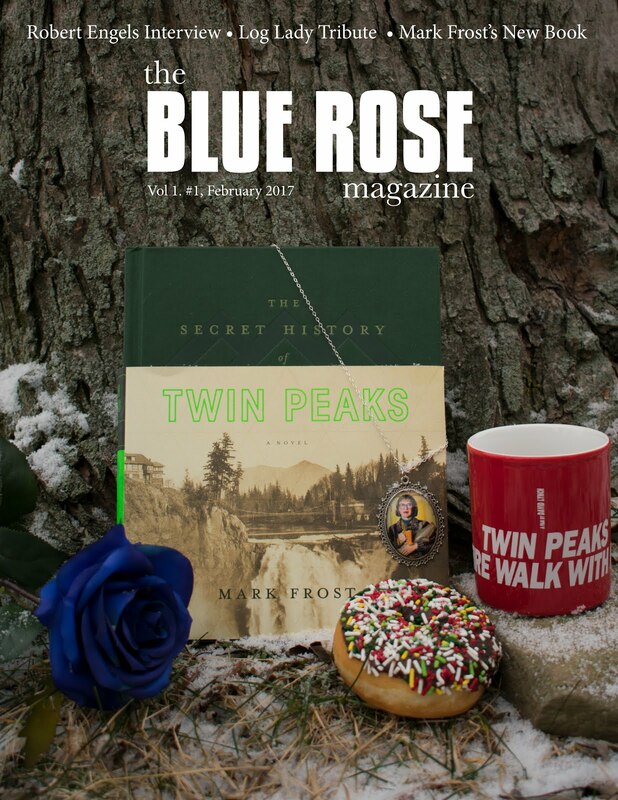 We spoke very briefly about the new Twin Peaks (it was all off the record but, honestly, he didn't reveal anything that fans don't already know) and how the old show raised a high bar for all others to meet. Soon after, Frost appeared on stage, read from his book and answered a great many questions from fans (season 3 was an off-limit topic). One of the nice take-aways, for me, was Mark's description of "mysteries" versus "secrets." 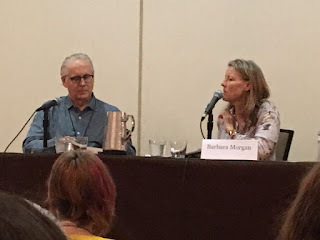 I'm paraphrasing, but the gist of it was: mysteries help us access the beauty and wonder of life (and can be akin to religious experiences) whereas secrets are a creation of man, often in an effort to gain power. 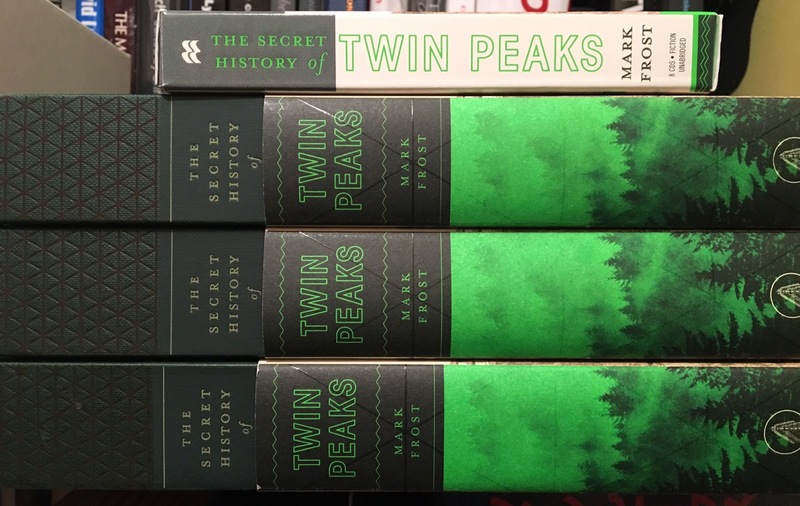 There is a yin-yang, here, (and a possible spectrum, of sorts) which Frost highlighted by reading the "Opening Statement" of the Archivist from The Secret History. 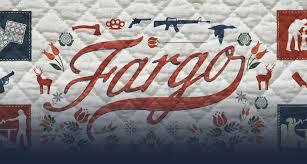 This discussion really helped me appreciate the book in a new way. We all knew it was a puzzle (and yes, I believe there are answers hidden inside it), but maybe it is something more--a cautionary tale of what can happen when we try too hard to find all the answers, when we try to define, in exact terms, all that we find curious and enigmatic. 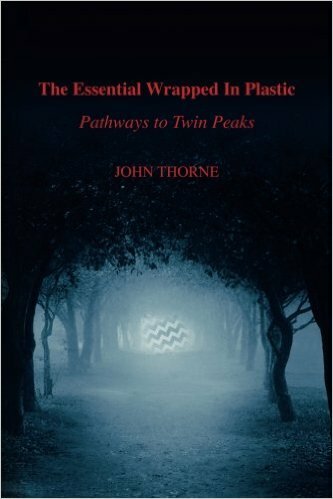 In short, the book supports the Lynchian axiom that "there's a beauty in not knowing."